Aurelia Florian was born in Romania where she completed her musical studies (voice and piano) at the Transylvanian University Brasow. She has won several vocal competitions, among them the First Prize at the Hariclea Darclée Competition in Romania and the Spiros Argiris Competition in Sarzana, Italy. From 2008 to 2010 she was a member of the Romanian National Opera Bucharest where she sang Norina (Don Pasquale) and the title parts in Donizetti’s Parisina d’Este and Gemma di Vergy among others. 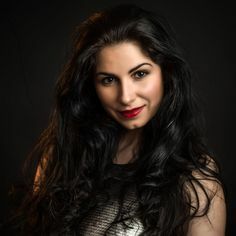 In October 2012 she made her international debut as Lida in a new production of Verdi’s La Battaglia di Legnano staged by Pierluigi Pizzi at the Verdi Festival Parma and shortly after that she gave an acclaimed debut as Verdi’s Luisa Miller (under the baton of M° Daniel Oren) with the New Israeli Opera Tel Aviv where she has returned for several productions since then (a.o. La Traviata, La Rondine, Romeo et Juliette). To Teatro Regio Parma (Italy) she returned for Amalia in G. Verdi’s I Masnadieri as well as for Desdemona (Otello) with big success. With her signature role Violetta Valéry in Verdi’s Traviata she gave acclaimed house debuts at Bavarian State Opera Munich, Opera Zürich, Deutsche Oper Berlin, Norske Opera Oslo among others. In 2016/2017 she returned to Bavarian State Opera Munich (again as Verdi’s Traviata), gave her role debuts as Mimi in G. Puccini’s La Bohème with the NTT Tokyo and as Marguérite in Gounod’s Faust (at the New Israeli Opera Tel Aviv). In 2017/2018 she made a highly acclaimed US debut (again with Violetta) at the San Francisco Opera and gave her role debut as Leonora in a new production of G. Verdi’s Il Trovatore at Aalto Theater Essen, Germany. 2018/2019 will bring her role debuts as Nedda in Leoncavallo’s I Pagliacci and Roksane in Szymanowski’s Krol Roger (both at Opera Graz, Austria) as well as Amelia in Verdi’s Simon Boccanegra at the Israeli National Opera Tel Aviv and her return to the US (La Traviata with Portland Opera).